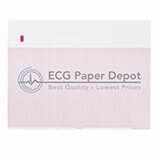 Our ECG Recording Charts are guaranteed to meet or exceed OEM specifications. Our products have been specifically designed for each application by utilizing high quality base papers with superior smoothness to ensure that their properties will not damage the delicate components of your equipment. 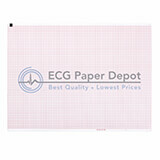 Our products include a complete selection of ECG Papers, Mounting Forms, Ultrasound Films and Fetal Heart Papers. If you are unable to locate your desired item on our website please call our customer service department where our knowledgeable staff is waiting to assist you. 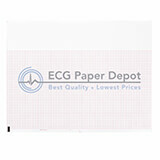 Most charts are produced on Standard Grade Paper which will retain image quality for a minimum of 7 years when stored properly. Archival papers are available and are guaranteed to retain image quality for 25 years.